A variety of styles are available. 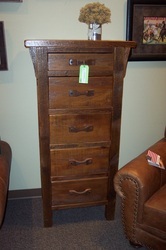 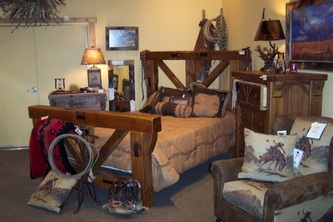 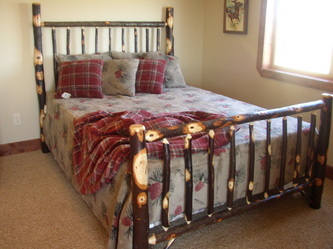 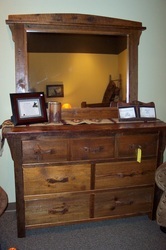 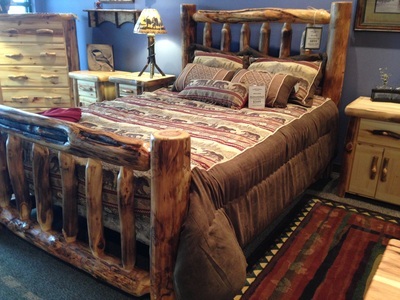 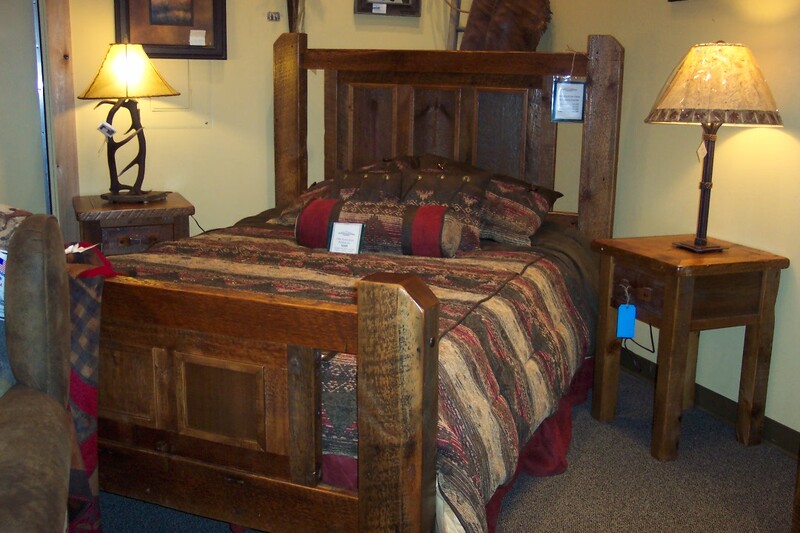 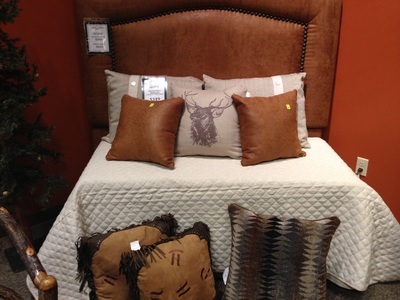 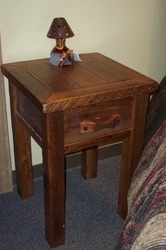 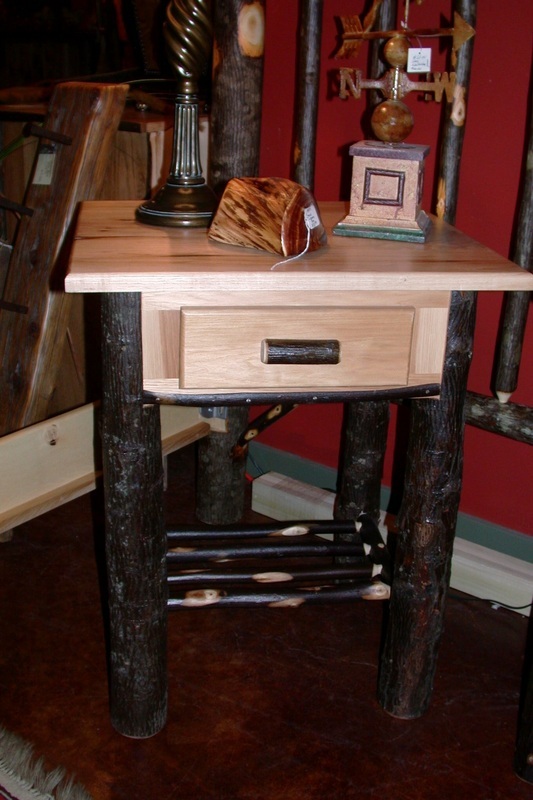 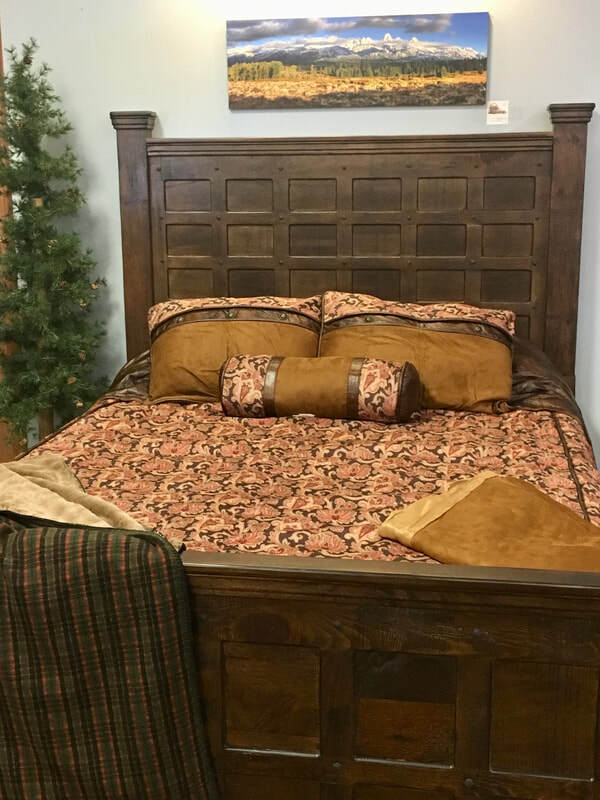 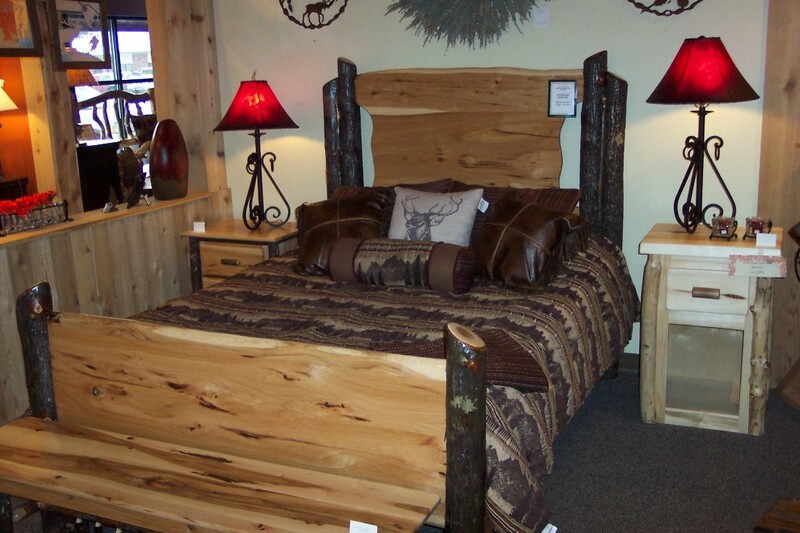 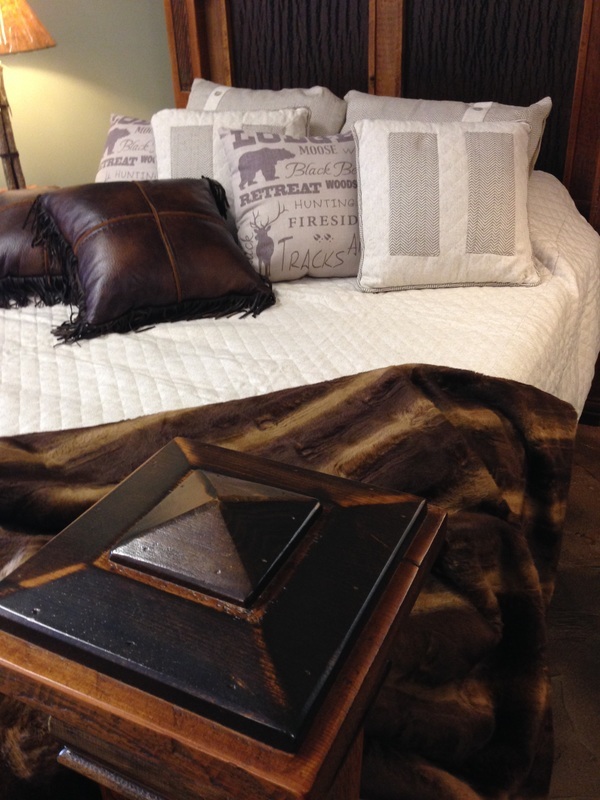 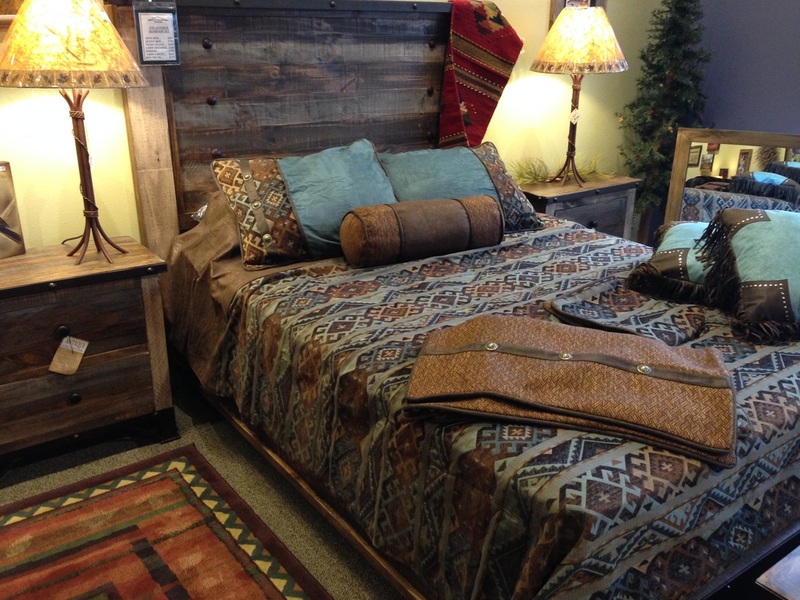 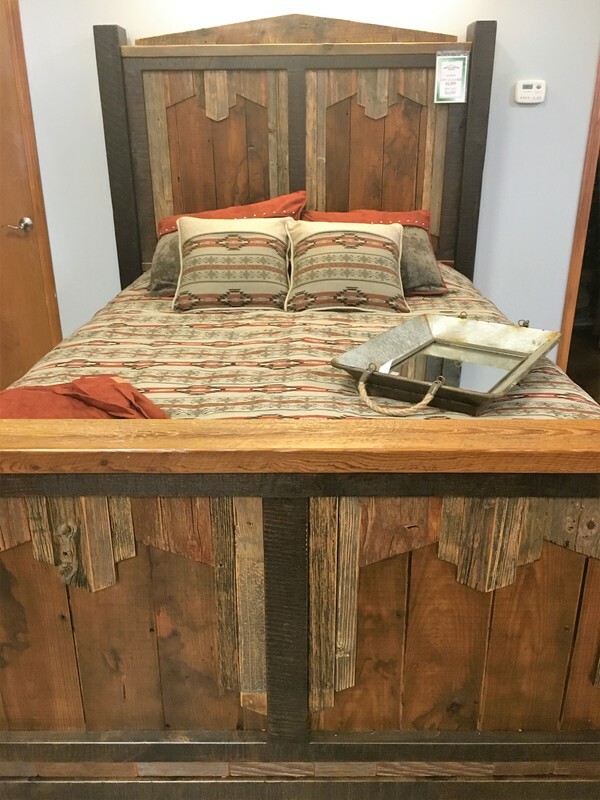 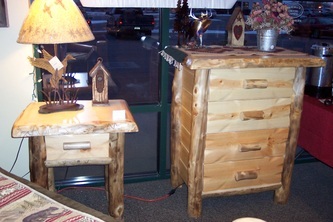 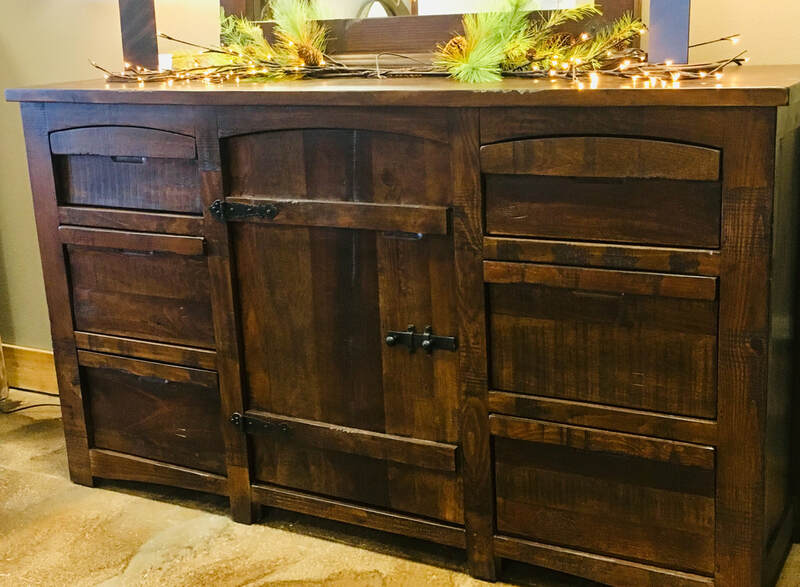 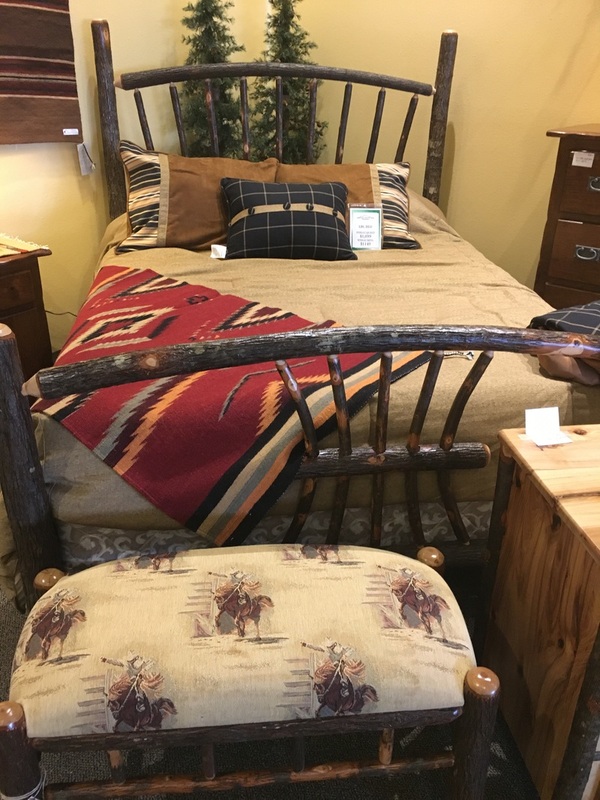 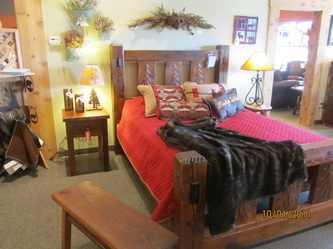 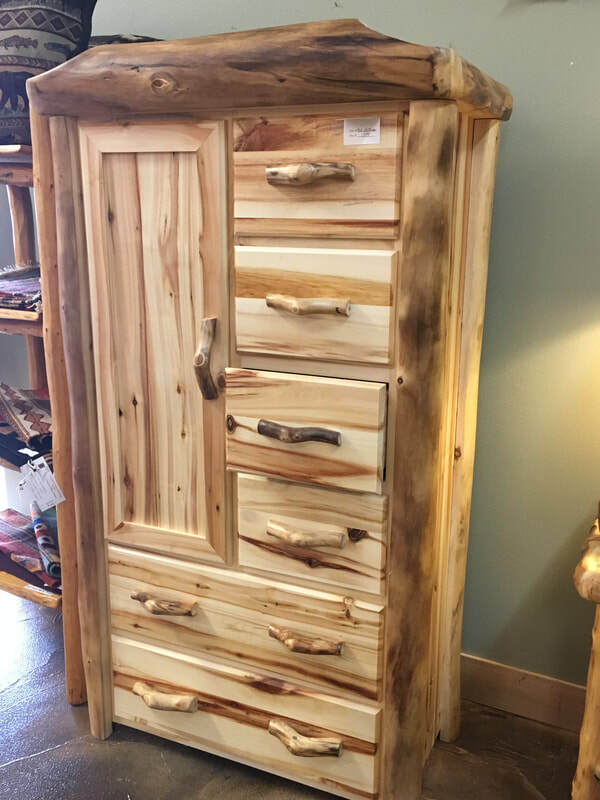 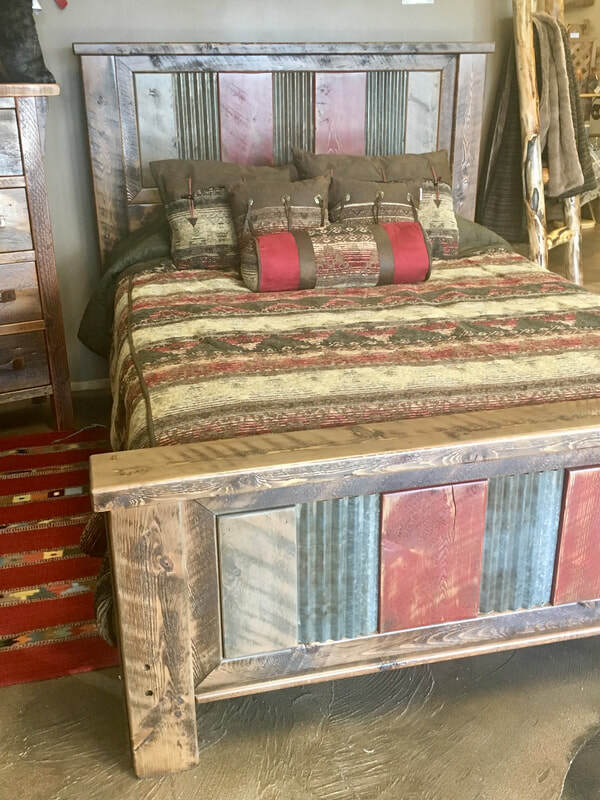 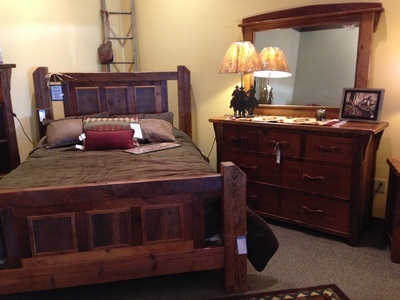 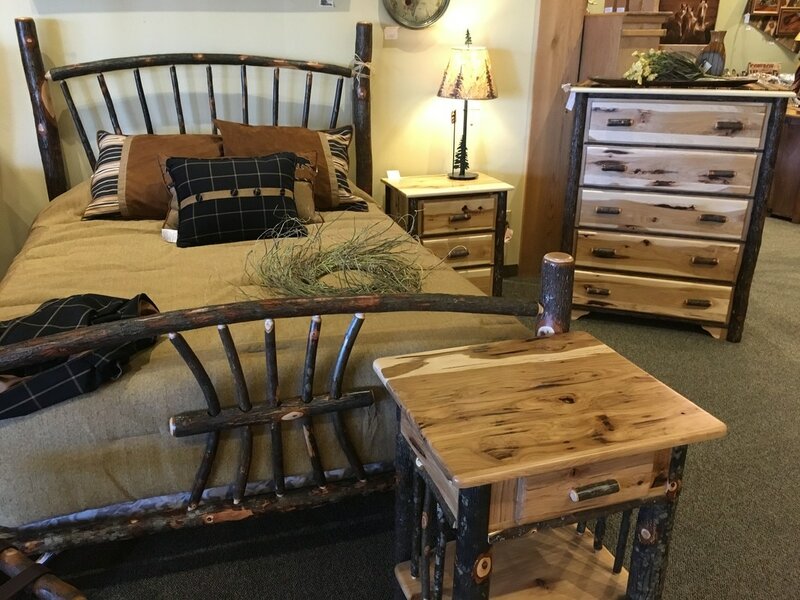 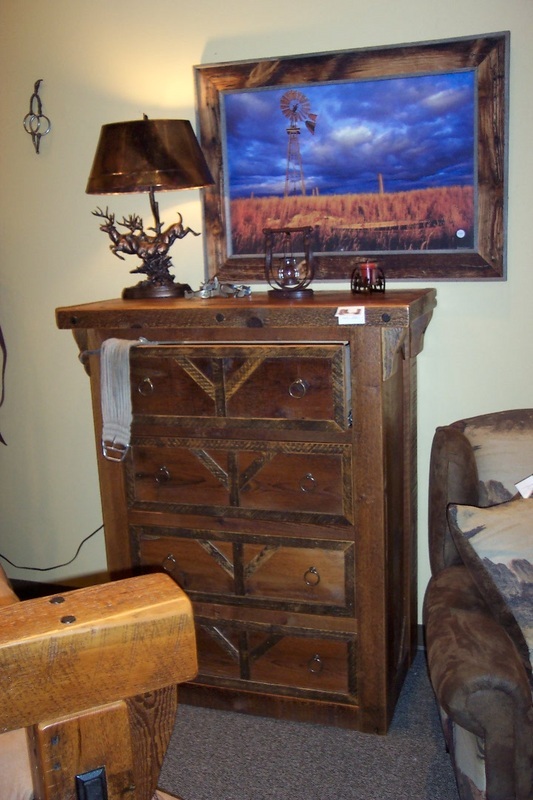 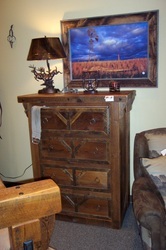 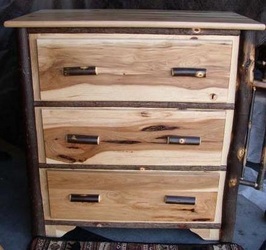 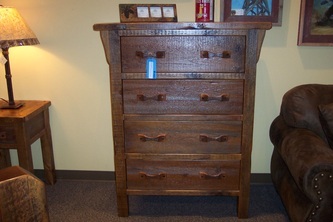 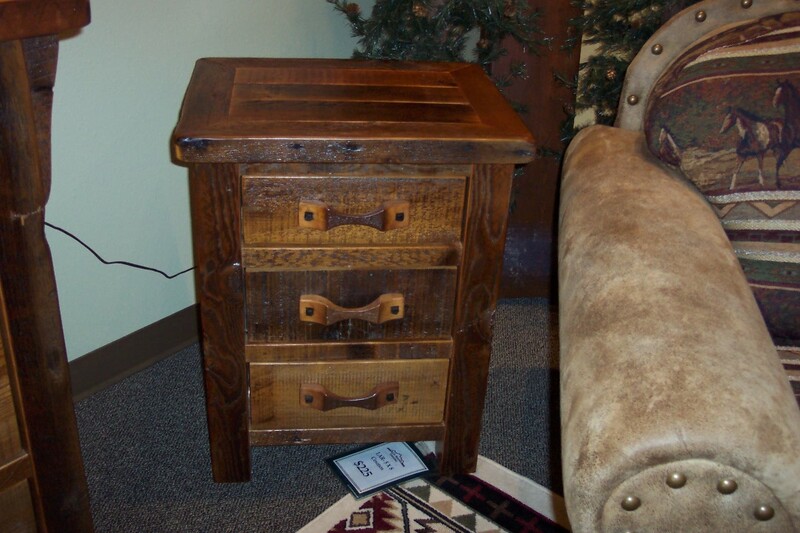 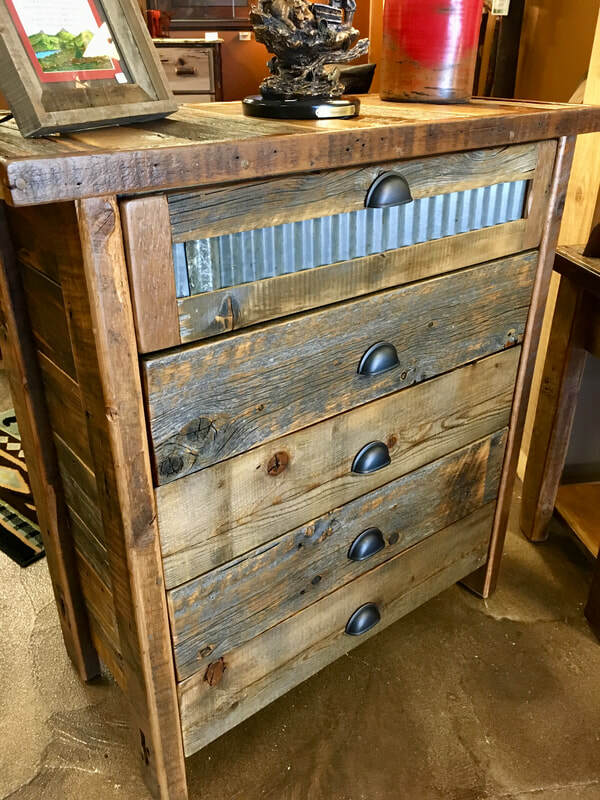 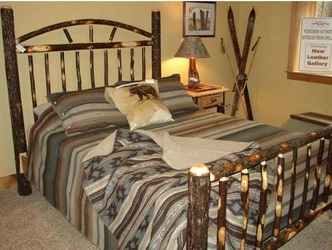 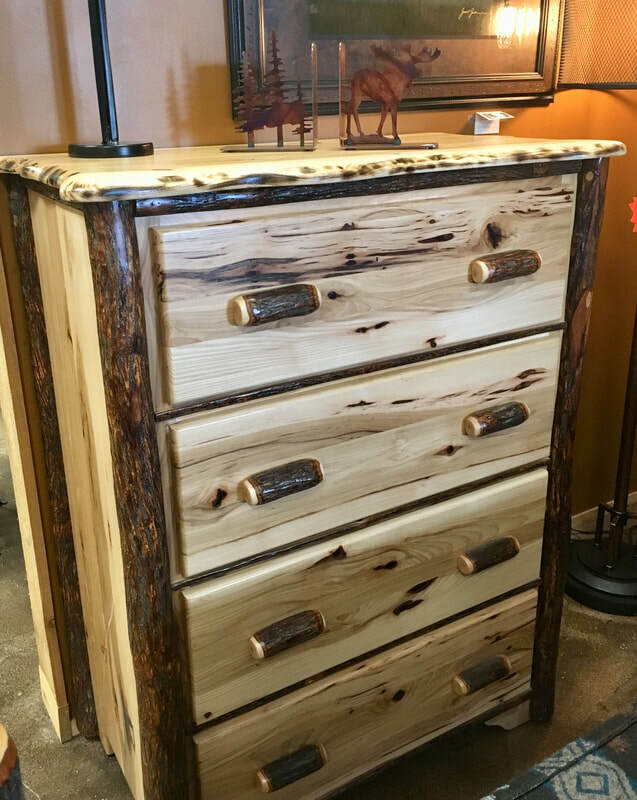 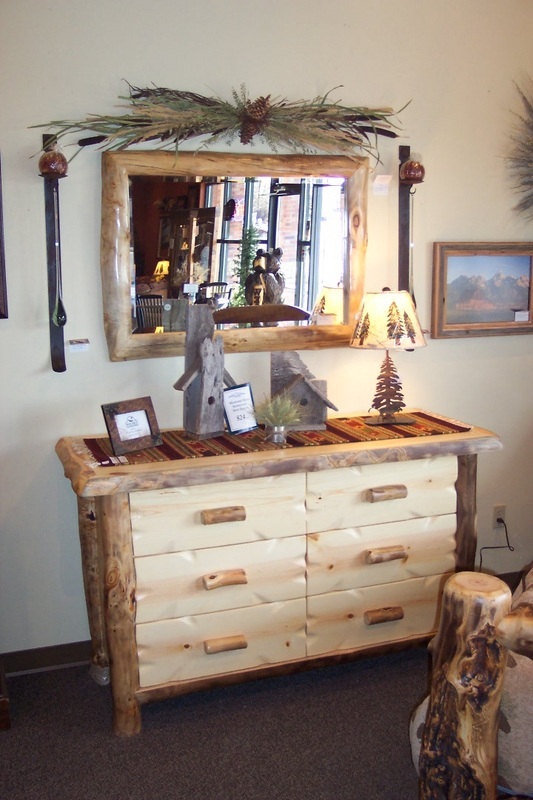 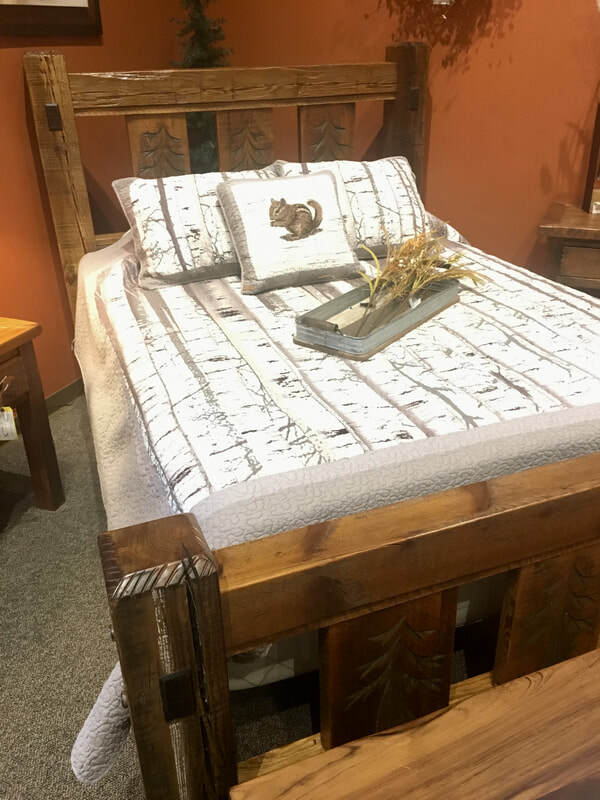 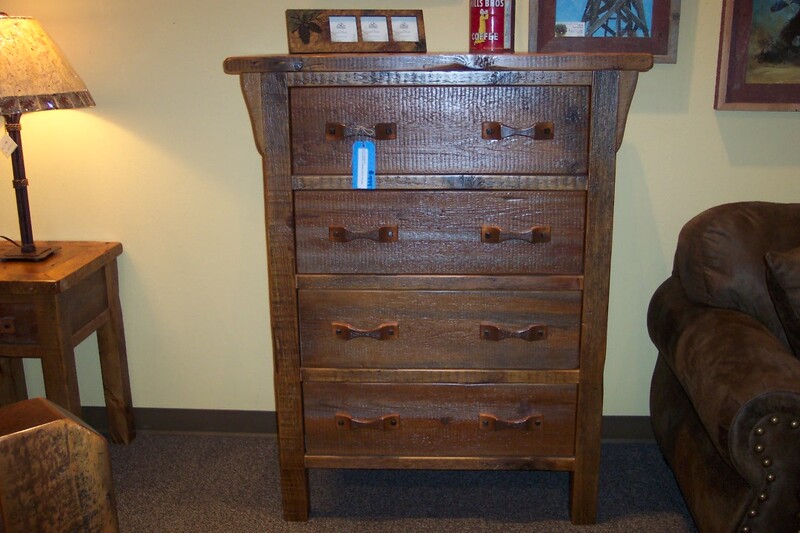 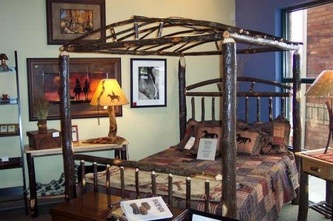 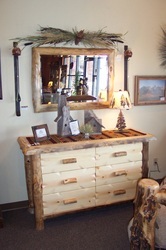 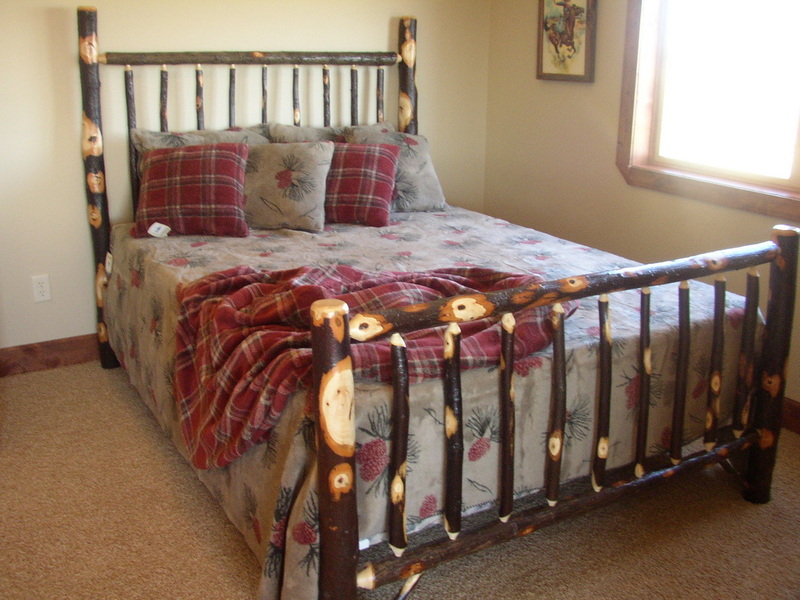 We feature bedroom sets in aspen log, reclaimed wood, pine with inlaid copper and hickory. Please Feel Free to contact us for dimensions and pricing!